The Eurodyssey family continues to grow! The Croatian region of Šibenik-Knin hosted the Eurodyssey Forum, from 3 to 5 October. The participants were welcomed by a sunny and warm weather: a pleasant atmosphere for the forum’s 2017 edition. On the first day, a new member region was presented, Arad (RO). Lavinia Terpea, the region’s correspondent, introduced the region and its goals for the programme. AER Secretariat presented the Data Collected for 2017, regarding the numbers about the Eurodyssey. The members get to know the participation of each region in the programme and briefed about what they could do better in order to balance the numbers. The co-presidents, Laurence Hermand and Arlette Brone, presented the Quality Charter that was discussed later on. We also had the opportunity to exchange views on the Lanarka’s outcomes. You can find all the documents and presentations on the event’s page, here. The new Eurodyssey logo is here! The after lunch session had a fresh start: the presentation of the new Eurodyssey logo, by the AER Secretariat. One of the keys for the success of this programme relies on an assertive promotion. The clean, simple and bold design marks a new approach and promotion of the programme. By the end of the day, the regions had the opportunity to showcase their culture during a speed dating session. A great opportunity to bring members closer. the promotion and its strategy, where each member was brought to discuss their way of promoting the Eurodyssey programme. This was a good way of exchanging best-practices among members. the design of pilot actions. These sessions were very useful to understand what each region is doing and to build a common strategy for members. One of the highlights of this edition was the General Assembly. Esther Estany, from Catalonia (ES), was elected for the Steering Committee Chair. We also welcomed the new members for the Steering Committee, Arlette Brone, from Brussels (BE), Laurence Hermand, from Wallonia (BE), Agneta Kardos, from Timis (RO), Maria Vitória Soares, from Azores (PT), Emilio Vicente, from Valencia (ES) and Géraldine Pulicani, from Corsica (FR). The new members of the Steering Committee had their first meeting on the last day of the Forum and discussed the outcomes of this edition. You can find more details here. 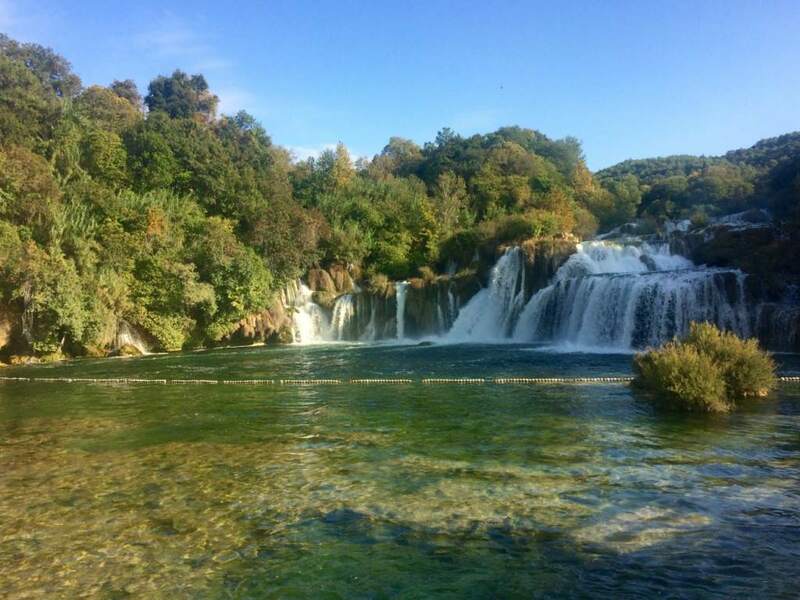 After having the important decisions made, the participants took off for a field visit, to the Krka National Park. Nobody stayed indifferent to such great natural beauty. You can see pictures from the event here! The post The Eurodyssey family continues to grow! appeared first on Assembly of European Regions.